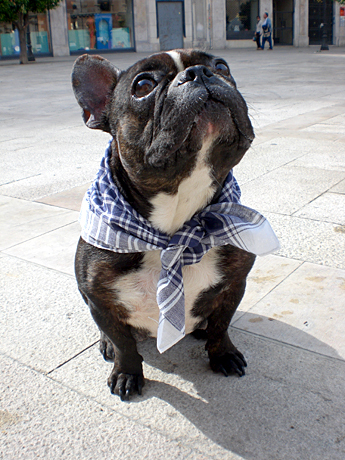 May I introduce you to the Fallera Mayor of the Fallas 2008 — our dog Chucky. 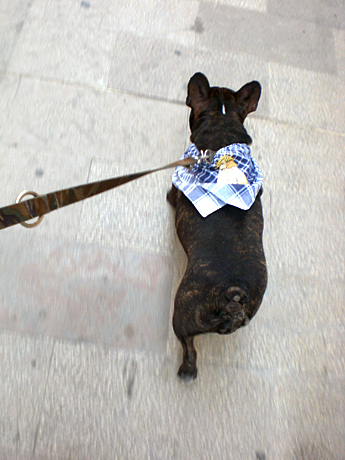 Chucky has very split feelings about Fallas – on the one hand she loves the attention she’s been getting since we dressed her up with a Pañuelo. The Spanish are going crazy for her. But she does hate the fire crackers which people have been lighting up for 5 days straight now. Poor thing! But it’s the last day and she’s almost gotten used to them! 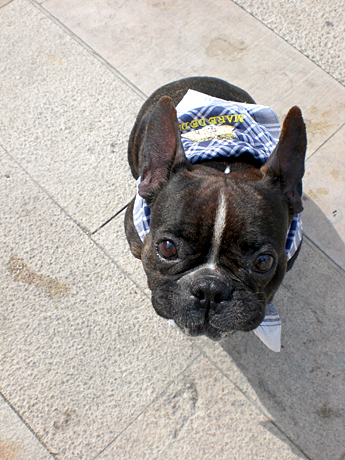 Wondering if we can buy dog sized earplugs for the Fallas 2009. I can’t wait for the Cremà tonight.